This page is under construction and some of the elements have yet to be completed – we are trying to find the necessary information to complete these elements and we seek your forbearance whilst we do this. Where a Past Master is deceased, his name is followed by †. When Tony was installed as the 41st Master of the Company he paid tribute to his predecessors and a Founder Member, Lawrence Kenchington, who had been his mentor and said how proud he was to undertake the Mastership. “I first joined this industry as I am passionate about the built environment, in which we all play such a crucial role. This Company embodies the whole spectrum of construction professionals, which is why, in my terms, it is such a vibrant and unique Company amongst the Livery of the great City of London. As liverymen, it is such a privilege to be the guardians of our generation for all the professions, trade guilds and crafts that we represent, it is so well established in history, and it is vital that we continue the traditions for future generations to come. I hear constantly from new members that joining the livery gives them the opportunity to ‘give something back to the industry’ that has been their livelihood, I endorse that view, and share it with a passion. It is the very reason why I became a Freeman of this Company a dozen years ago. My theme for the year ahead has expanded somewhat over the year leading up to Mastership. Firstly, my theme is to continue Immediate Past Master Ian’s focus on Apprenticeships in our industry. This vital area of skills has been neglected by successive governments, and at last, it is back on their agenda. I myself served an apprenticeship in the railway industry, ‘the University of Life’ as I call it, manufacturing railway rolling stock, so closely allied to today’s much heralded ‘off site construction’, for which we once had the perfect industry and infrastructure. My second theme is to continue to promote ‘fellowship’ within our livery company, and to harness, in particular, the talents and ambitions of newly elected members. 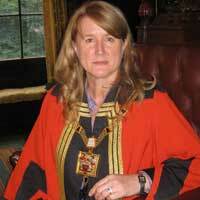 My third and final theme, is to support the Lord Mayor Treloar’s College in Hampshire with some fundraising efforts. When Ian was installed as the 40th Master of the Company he focused on the privilege that it would be to represent the Company within the City and beyond, and to follow in the footsteps of the Masters who had gone before. He went on to say: “For my year as Master I’ve chosen the theme of “Apprenticeships, Mentoring and Membership”. Like many Livery Companies our biggest challenge is to encourage and recruit new and younger women and men to become initially Apprentices, then Yeomen and move on to be a Freeman with a swift transfer to the position of Liveryman. Therefore, during my year I am looking for the Company to develop our apprenticeship, mentoring and membership programs to achieve an increase in our core membership. I will also seek, on behalf of the Company, to provide further awards and scholarships, which will continue to expand our current commitment and thereby continue to enhance our standing within the City Livery community. These days, there are many demands on everyone’s disposable income and I know how important it is to communicate the incomes, outcomes and the impact of the charitable giving and support of our Charitable Trust and the Masters and Wardens Fund. I will during the year attempt to make this information more readily available to all members on how and where the resources are used to encourage and increase the level of individual giving and support. Communication will also be at the forefront of my year, with a newly designed website, use of social media, briefing forums, presentations and events for the younger members on topical and relevant subjects. I have some exciting events planned for this year. The Master’s weekend will be held in Guernsey and I anticipate during the year a wide range of evening and day visits. “All Masters say how honoured they are to be Master, but that is only because it is true. My aim for the year is to continue the excellent work done by my predecessors in raising the profile of our Company. Talking to Masters and Wardens of other Companies it is clear that we are ‘on the radar’, especially amongst some of the long established Livery Companies whose Livery lifespan is measured in centuries rather than our mere 25 years! My task in this is made so much easier by the fact that Sheriff Dr Christine Rigden’s Mother Company is the Constructors. During her Shrieval year the Constructors will be represented at several high profile events which they would not otherwise have been. We all owe a great deal to Christine. I have thought hard about a theme for my year but at the end of the day I will adopt Immediate Past Master Victoria Russell’s one of Fellowship but perhaps without the “bling”! The reason I became a Constructor was fellowship and it is the theme that I always use with potential new members – being a Constructor is fun! Victoria was educated at Benenden School, Kent, and the University of Exeter. She is a construction and engineering solicitor with over 30 years specialist experience and particular expertise in all forms of dispute resolution. She is a partner in Fenwick Elliott LLP, the largest specialist construction law practice in the UK, and is also a practising arbitrator, adjudicator and mediator. Victoria is a former Chairman of the Society of Construction Law and former President of the European Society of Construction Law. She was Master of the Worshipful Company of Arbitrators from 2001-2002 and is on the Committee of the Golden Jubilee Masters Association. Victoria is also a Liveryman of the City of London Solicitors’ Company, a member of the Livery Committee and Chairman of its Livery Companies Working Group, Candlewick Ward Club and the City Livery Club. She is a Fellow of the Chartered Institute of Building, Fellow of the Forum of the Built Environment and Fellow of the Chartered Institute of Arbitrators. Victoria is married to Steve Lawrence and lives in Hammersmith. They have two sons; one is a zoologist and the other is majoring in history at Princeton. She is a season ticket holder at Fulham Football Club, a volunteer with, and facilities co-ordinator at, the West London Churches Homeless Concern, and on the Management Committee of the Sulgrave Club for Young People in Shepherd’s Bush. I am absolutely delighted and enormously proud to have been elected and installed as your Master; I am very much looking forward to my year in office. 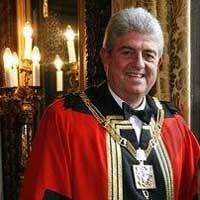 I must pay tribute to, and thank, the Immediate Past Master, Alan Longhurst, for leading the Company with such commitment and distinction in the last year, and the fantastic support given by his wife, Lee. They will be a tough act to follow. I know that I am surrounded on the Court by many very talented and distinguished people and look forward to working with them, and in particular the Wardens, in the months ahead. It will be a busy year; in addition to our three formal dinners, including the Sir Christopher Wren Banquet at Mansion House in June, we are holding what promises to be a spectacular fundraising event for the Charitable Trust next September. When we joined, each of us gave a promise that we would support the Company’s charitable objectives. Our Charitable Trust carries out great work, and I am keen to increase the funds available to it, so that it can continue to build on its successes. We will also have a great variety of informal events, and my master’s weekend in Exeter, so there will be something for everyone. I hope that you will support as many of our various activities as possible. My husband, Steve Lawrence, is as dedicated as I am to the year ahead; we will both do our very best to serve the Company with energy and enthusiasm and look forward to seeing you as often as possible. Alan Longhurst was educated at Whitgift School in Croydon and went to University at the Welsh School of Architecture in Cardiff. He initally worked with The South East Thames Regional Health Authority before joining the Croydon based company of Howard Fairbairn & Partners in 1984, progressing to being the Senior Director at Howard Fairbairn MHK. 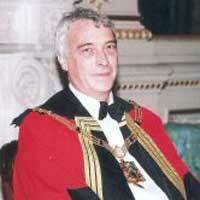 Alan has been a Liveryman of The Company from 1998. 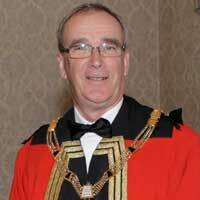 He is also Chairman of the Croydon, Sutton & Bromley Branch RIBA and is interested in sport in all its forms including Golf, Cricket and his beloved football team, Crystal Palace FC “The Eagles”. He has been married for over 30 years to Lee, and they have a daughter, Faye, who works in HR and son, Anthony, who is a marketing analyst for a publishing company. When he was appointed as the 37th Master of the Company he wrote “Like other Masters before me I not only feel proud to serve as the Company’s 37th Master but I also have a direct understanding of the pleasure and privileges that this brings. It also is clear that although the company at 38 years old is one of the more modern of modern livery companies, through the effort and insight of my predecessors the Constructors have an established place within the livery and this is reflected in the quantity and diversity of events that the Constructor’s Master has the honour to attend and represent our company. I am therefore delighted to be able to thank the previous masters and in particular Stephen Rigden from whose vision and work in raising the profile of the Constructors within the city we will continue to benefit for many years. For example, this year we had for the first time the opportunity to present at the Guildhall a gift to the new Lord Mayor, an honour not available to all companies. For my year I have adopted as my theme the work of our charitable trust. We have an excellent team of trustees whose integrity and prudent management of the funds has placed us in a strong position. My intention has been not only to continue to do all I can to grow the size of our charitable trust but also to help better disseminate information about its achievements and future objectives as growth brings opportunities for the trust to do more. This year we have a mixture of familiar halls for our principal functions together with some new venues for other events. The size of the company means that we generally have to look to the bigger halls. Stationers’ has always been a favourite hall of mine, Carpenters’ is the venue for the awards dinner and Merchant Taylors’ for the Sir Christopher Wren Banquet will bring back memories of the Charter Award Dinner 3 years ago. Trinity House is a new company venue and has been selected for our companion’s lunch and Ironmongers’ hall has become home for our regular lunch club which is an innovation for this year. The Master’s Weekend is to be held in Cardiff due to my connection with the Welsh School of Architecture. Cardiff is a city transformed from the post industrial decline evident during my time at university, to a modern and vibrant European city well worth a visit to see the transformation of Cardiff Bay with new civic and commercial buildings. Our dinner will be held in the banqueting hall of Cardiff Castle, surely one of the most lovely such halls and the finest example of the work of architect William Burges. Charitable giving remains a corner stone of our Company. This year’s fundraising event will be a golf day at Sundridge Park in Bromley. For many years I have been responsible for our company day so I much appreciate the offer of liverymen Melville Dunbar and John Sayers to organise this year’s event and use it to raise funds for our charitable trust. Lee and I look forward to our year ahead. We have received tremendous support from the company which we much appreciate. In accordance with tradition we will arrange a summer party to be held at the Old Whitgiftians Cricket ground in Croydon where together we can enjoy some food, music, cricket and champagne. 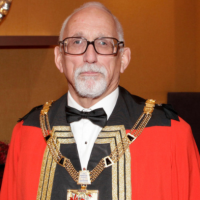 “As the newly installed Master Constructor, I am very conscious of the need to maintain the high standards set by our Immediate Past Master, Doug Barrat, and the 34 Masters preceding him. At the end of this Livery year I would like our Company to have improved in health, both in terms of our membership and the financial resources of the Company and of our Charitable Trust, and for all to have greatly enjoyed the experience. To this end I would ask that you support as many of our events as possible: our three formal dinners (including our Banquet at Mansion House), the three lunches at Painters’ Hall, our Christmas lunch at Armourers’ Hall, and our programme of informal socials. 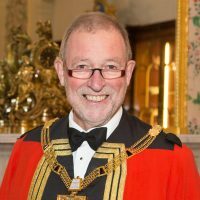 When Doug Barrat was installed as the thirty-fifth Master of the Worshipful Company of Constructors he said in his Master’s Message – “I have two very important requests, and I sincerely hope that you can help. Firstly Charity – The Charitable Trust and all it does is such an important part of what we do as a Company and there are a number of you who do give regularly, and I thank you most sincerely and I know that you will not mind that you are included in this message to the Company Membership, but there are also quite a number that do not yet contribute on that basis. We live in particularly difficult times with considerable business and personal financial pressures, but there are many whose plight we could not begin to imagine, and what we are able to distribute from within our own Charitable purse helps make a difference. Therefore I am asking those who are not yet regular contributors to consider doing so. A very modest £10 a month would make such a difference, please give it some serious thought, all you need do is to down load the forms from the web site or ask the Clerk to forward them to you. I thank you in advance for those who feel they can help with my request. Secondly Membership – I state the obvious that membership is the life blood of the Company and continues to be pursued. Sadly over the last year a number of members have passed away and we have lost members who have felt unable to continue for various reasons, so I would like to set ourselves a recruitment challenge by asking every member to find a new member. We have a few members who have over a number of years introduced many marvellous men and women into our Company, they have built up terrific momentum and I would like to see more of us helping to find new Constructors. Use the Web Site in your recruitment efforts, potential new members will get a lot of useful information on all aspects of our life in the Company and will hopefully encourage interest in the Livery. When Patricia Newton was installed as Master of the Worshipful Company of Constructors she said “It is a great honour to have been elected as your 34th Master Constructor of the Worshipful Company of Constructors. I follow in the footsteps of Dr Christine Rigden who has paved the way for the females in the Company, by becoming the first Lady Master since our inception! I was born in Central London in 1960 and for those who do not know, I am half Italian, with roots firmly embedded in Northern Italy. I was schooled and raised in London and Italy and graduated from the University of North London with a Batchelor of Science in Architecture followed by a Postgraduate Diploma in Architecture and became a Chartered Architect in 1989. Dr Christine Rigden was born on 7th January 1965 in County Durham, and raised in King’s Lynn, Norfolk. She attended The University of Sheffield, graduating with a BSc in Geology in 1986 and a PhD in Materials in 1990, with research topic concentrating on the use of industrial waste products as partial replacements for cement in concrete. Following a move to London Christine joined Queen Mary College, London University, as a Lecturer in Geomaterials in 1992. Here she was able to combine her academic interests in geology and cements with research focussed on the use of geological materials in the construction industry, especially in the materials properties and durability of concrete and building stone. During this time Christine was also much involved in the Geological Society of London, serving two four year terms on their Council and one term as an Honorary Secretary. Dr Rigden moved to Canterbury in 2000 and joined Stephen Rigden at Project Management and Design Services Limited, a small civil and structural engineering consultancy. Christine and Stephen married in 2006 and sold PMDS Ltd the following year, both retaining the position of company Directors. 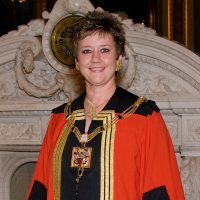 Christine’s involvement in the City began shortly after moving to London, on becoming a Freeman and Liveryman of the Constructors in 1993. 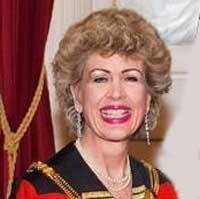 She was elected the first lady Master Constructor in September 2009 and installed on 14th October 2009. Christine is also a member of the Masons Company, becoming a Freeman and Liveryman in 2008 and being appointed a Steward in 2009. 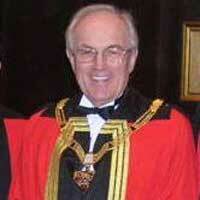 Dr Rigden is also one of the elected Officers of the City of London, having been elected as an Ale Conner since 2007. “I am delighted to be the 33rd Master Constructor and look forward to serving the Company. It will be a pleasure to represent our thriving Company in the City and to develop further our standing in the Livery world. I urge all members to continue in their support for Company functions, to introduce suitable new members to the Company, and to support our Charitable Trust. In this way, the continued success of the Company will be ensured. Roger is a Fellow of the Chartered Institute of Building. “I am delighted to be offered the opportunity to undertake the upcoming Livery year as your Master. I have been a member for 18 years and I assure you I will do all I can to enhance and develop our standing, influence and reputation in The City. We have twelve Scholars undertaking study, we gladly support a wide range of Charities from our Charitable Trust and our social activities are interesting and economical. We undertake the challenge of obtaining a Royal Charter this year too. New Freeman and Liverymen will see the wide range of members qualifications and skills which allows me to rightfully claim we do properly represent the Construction Industry to The City in a multi-disciplinary way. We are unique and draw our strength from the mix of members all able to enjoy one another’s experiences. Martin, a Chartered Surveyor spent most of his career in private practice providing quantity surveying and project management services to clients in the UK and overseas. He was actively involved with the Royal Institution of Chartered Surveyors, being its Quantity Surveyors’ President in 1992 and then Chairman of its International Committee which conceived the Institution’s successful globalization strategy. 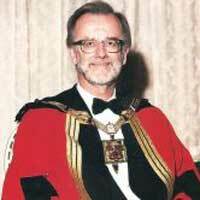 He became a Freeman of The Company in 1991 and took Livery in 1992. 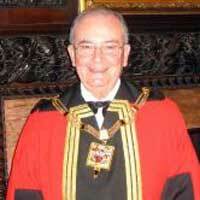 Elected as Master in 2007/08 he initiated the Company’s Royal Charter application. He was a Trustee with the Company’s Charitable Trust. He was a founder director of St Albans Enterprise Agency which provides advice and premises for local start up businesses and Chairman of Harpenden Cricket Club responsible for rebuilding the club’s ground on Harpenden Common. He was a director of Harpenden Day Centre which provides a meeting place and ‘meals on wheels’ for the elderly, and director of a couple of commercial property companies. In his spare time Martin, a trained singer, enjoys music, watching cricket, cruising the inland waterways on his narrow boat and gardening. Married to Janet he has two children: Deborah, a paediatric nurse at Great Ormond Street; and Simon, a commercial property lawyer in London. “It is a huge honour to be elected as Master and I am grateful to the Company for placing its confidence in me; I will endeavour to meet the high standards set by my illustrious predecessors. The Company continues to grow and we find ourselves in good shape. It is gratifying to see so many new members joining us, who are most welcome. If you are a Freeman, have you considered moving up to the Livery? Why not contact the Clerk who will be pleased to tell you what to do. “I am honoured to have been elected Master of this Company and I look forward to serving you all during my year of office. We need to increase our membership numbers and I hope that each of you will assist in this endeavour. 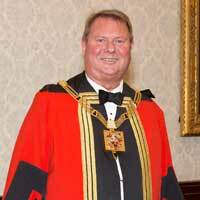 When Peter Knight was installed as the 28th Master of the Worshipful Company of Constructors he said “I look forward to serving the Company in my year as Master, building on the foundations laid by my predecessor. I wish to work with a strong team spirit, embracing my Wardens, Court Members and Company Freemen/Liverymen. I will work actively for the future of this vibrant City Company, involving our young Members. 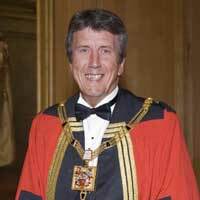 When David Hattersley was installed as the 27th Master of the Worshipful Company of Constructors his message for fellow Constructors was “My hopes are to be able to affect a seamless transition from the most excellent year given to us by Pastmaster John Robson. I shall be arranging further informal events where we can meet and talk together, whilst still giving support to the City Charities and Education. I shall also be making a special effort to see those within the Company I have yet to meet. John was born in Reading in 1952, educated at Leighton Park School and Manchester University. He was a Chartered Civil Engineer initially working in Public Health, both in the UK and the Middle East, and latterly as a Property Developer in the Reading area until he retired in 2014. John joined the Company of Builders in 1981, served as a Steward from 1983 to 1988 when he was appointed as a Court Assistant, progressing through to Master in 2000. 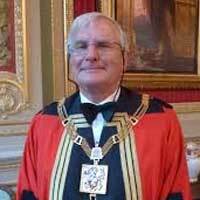 He is currently designated Senior Active Past Master sitting on the General Purposes Committee and Privileges Committee. 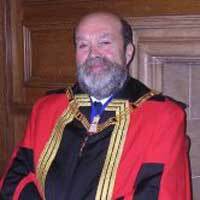 John is a member of the Ironbridge Gorge Museum Development Trust and a member of the Museum’s London Committee, who attends the annual Livery Masters Ironbridge weekend as a ‘guide’. He was for some time an editor of The Constructors Journal. John is married to Michele and they have three children, two of whom, Alexandra and Alicia, are Freemen of the Company. 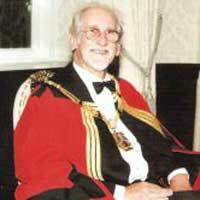 He is the son of our Founder Member Merrick Burrell, who was Master in 1980-81. John has recently moved to Hartley Wintney after living in Silchester for 32 years, both in North East Hampshire. Since retirement he and Michele have spent increasing time at their chalet near Evian in the French Alps where they enjoy some walking and a lot of sitting and looking at the view. HIs interests include walking, the countryside, bird watching and history and he is a member of NADFAS, the National Trust and English Heritage. David was born in 1937 and worked with Powell & Moya from 1960-64 and then with HLM from 1964, finally becoming Chairman of the HLM Group (formerly Hutchison Locke & Monk) until 1992. 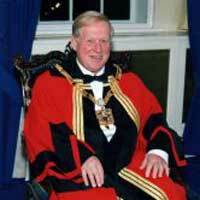 He was also the founder and senior director of the Moloney O’Beirne Hutchison Partnership in Dublin and the founder and senior partner of David Hutchison Partnership from 1992, during which time he was the architect for St James Hospital, Dublin; the Royal London Hospital redevelopment; Barry Hospital; Chepstow Hospital; Hammersmith Hospital; the Sixth Form College at Farnborough; St John’s School, Marlborough; Broomfield Hospital, Chelmsford, the Royal Marsden Hospital; the Princess Alexandra Hospital, Harlow; Aldershot Hospital; Frenchay Hospital; Weston Hospital; Torbay Hospital; Neville Hall Hospital and Monmouth Hospital. He was also the architect for major public sector commissions in health and civic authorities 1964-88 with health projects in Bournemouth, Cheltenham, Ealing, Whipps Cross, Lister, Northern General, Sheffield, Medway, Dunfermline West Fife, Liverpool Maternity, Royal Brompton London, Nottingham City, Guy’s, North Middlesex and civic projects: in Surrey Heath BC, Broxbourne BC, Daventry DC, Colchester BC, Waltham Forest, Macclesfield, Epsom and Ewell, Reigate and Banstead, Stoke-on-Trent, Stroud, North Staffordshire. He was the Architect for schools in Redditch, Bristol and Bath, and won commissions for the University of Reading and the University of Surrey, Smithfield Market Corporation of London. David was also the winner of an international competition for the architecture of Paisley Civic Centre in 1964. He won 7 Civic Trust Awards, the DOE Good Housing Award, the RIBA Architecture Commendation, the Redland Roof Tile Award, the RIBA Energy Award and the Concrete Society Architecture Award. 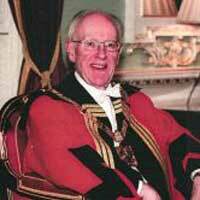 He sat on the Council of the RIBA from 1987-93, was an assessor for the Civic Trust. 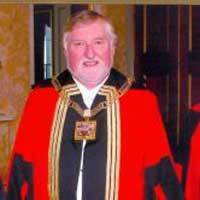 He became a Freeman of the City of London in 1977, and joined the Worshipful Company of Constructors in 1977 and the Worshipful Company of Arbitrators in 1987. He was Master of the Company in 1999/2000. David passed away in August 2015 at the age of 78, following a long illness.